Our awning specialist provides glass awning with metal frame system with high quality laminated glass materials with exquisite and excusive glass design to match with elegant exterior designs of buildings in Klang Valley and Kuala Lumpur, KL, Malaysia. Our glazing glass awning with metal or steel frame has different types of glass materials which are laminated glass, tempered glass and solar control glass materials that are high durability and offers great light transmission. Our awning contractor Malaysia provides glass awning with metal or steel frame supplies various shapes and designs depend on your preferences and our glass materials are heat reflective and sound reduction offering you quiet and peaceful environment during the rainy days. Clients can install our glazing glass awning with metal or steel frame system for your house’s balcony, restaurant, café, hotel, office entrance and many other buildings in Malaysia. 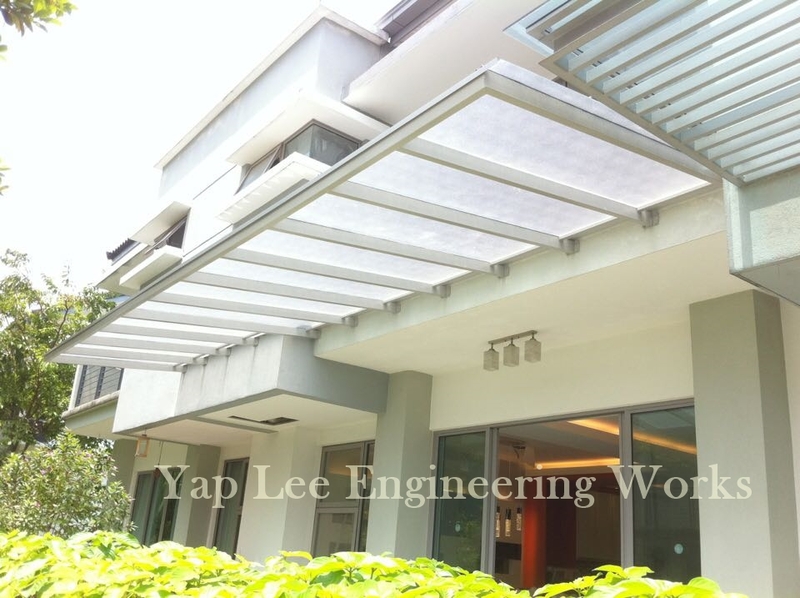 Contact our professional glass awning specialist in Klang Valley now for expert’s advice on glass awning with metal frame supplies and glazing glass awning with metal frame system of various buildings in Malaysia, especially in Kuala Lumpur, Klang Valley and Selangor.